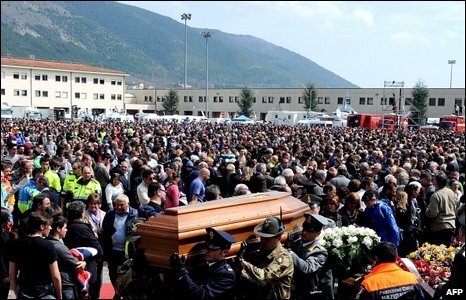 A state funeral has been held in Italy for 205 victims of Monday's devastating earthquake in the city of L'Aquila. Rows and rows of coffins were laid out in front of the altar. 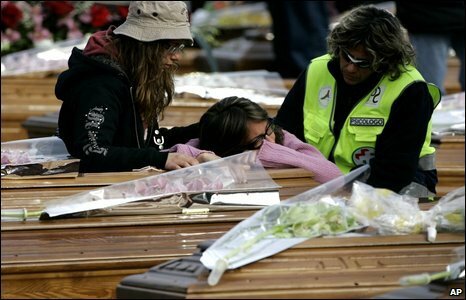 White coffins of children were placed on top of the darker caskets of adults who died. 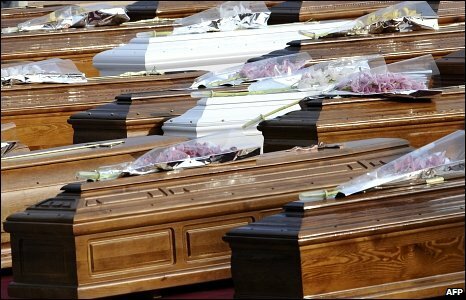 Grieving relatives collapsed at the funeral, which was attended by thousands. 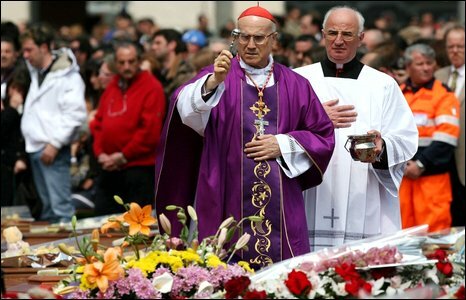 One of the most senior cardinals in the Roman Catholic Church, Tarcisio Bertone, presided over the open-air funeral Mass. In a special message delivered at the funeral Mass, Pope Benedict XVI said he shared the grief of the families and hoped they would find the courage to overcome their grief. 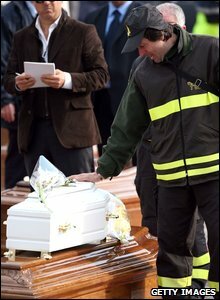 Italian Prime Minister Silvio Berlusconi and President Giorgio Napolitano were among the many mourners in L'Aquila. 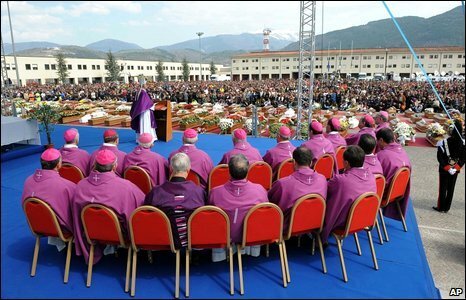 The decision to hold the funeral service in the open was taken because local churches were so badly damaged by the earthquake. 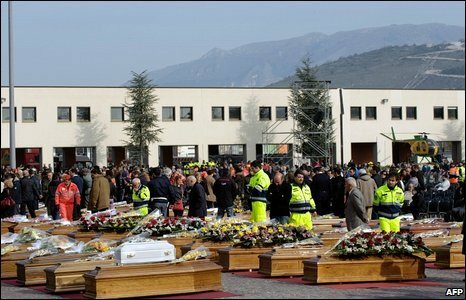 The burials are taking place in L'Aquila's cemetery.